Most people know that the games in the casino are a waste of money with the slightest chance to win. 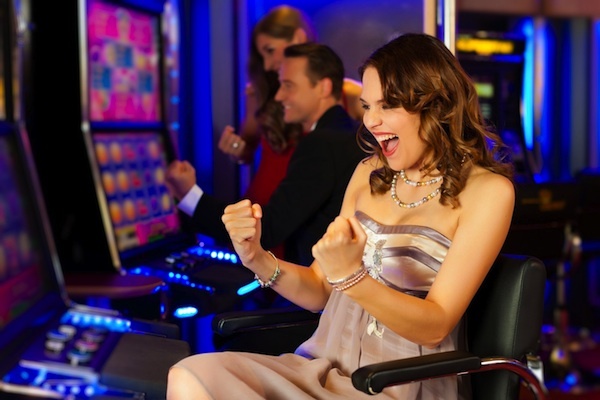 Certainly, the probability to lose in the casino is higher than the chance to become a fortunate winner. However, the history knows many examples of players who have won really fabulous amount of money. Best online casino sites by Casinority even have their own ratings of trusted casinos where you can find the highest jackpots and outstanding bonuses. Truly Megabucks slots can be considered as a happy machine in one of the casinos in Las Vegas. The first lucky one was Elmer Sherwin. In 1989, by putting $100 as a bet, he has hit a jackpot of $ 5 million on the first try. Sherwin spent the money he won on travelling. He has traveled over the world and came back to this slot machine after 16 years. Curiously, but the fate was kind to him again. This time his winning was $ 21 million. Now Elmer could secure a wellbeing of his descendants. By the way, a part of that sum was transferred by Sherwin to help the victims of the Katrina hurricane. The same machine was even more kind to another player – a programmer from Los Angeles. He came to Las Vegas to watch a basketball game, and at half-time he has decided to bet the same sum in $100 just for fun. It is difficult to imagine his wonder when he got Megabucks jackpot of $40 million. It was not possible to issue this amount per one payment, so, according to the state laws, the player will be receiving the money by regular installments over the upcoming 25 years. Joseph Jagger has been called a “roulette man” for several years. He was the persona non grata in many European betting houses. Why? He was betting on a certain cell of number 9 of the roulette wheel. And, surprisingly, he was gaining constant winnings. But administration of the Beaux-Arts Casino has broken up his secret only when Jagger has won several million francs already. His secret was the particular roulette wheel, which he has always chosen to play at. There was an invisible to the eyes of administration slope in one direction. Therefore, his luck broke up with the replacement of the wheel. However, the “player” was not upset. He knew for sure that a roulette wheel is a very expensive device, which can be scraped only in completely dysfunctional conditions. Jagger has found another favorite casino wheel in another land-based betting house. Of course, it is hard to win big money while playing online, much harder than sitting at the table in a gambling hall. But there are examples of really big winnings. The first record has been set in 2013. The 40-year-old resident of Finland has managed to win almost $18 million in the RAF. Slot machine Mega Fortune brought him a lot of money. In conclusion, it can be said that every person has his or her own lucky star. The only thing a passionate gambler can do is to trying again and again. Finally, a big jackpot will find its fortunate winner.